Glorious collection of letters written in 1922-1934 from Miller to his chum Emil Schnellock… What energy courses through these pages, covering Miller’s last days in Brooklyn and his years in Paris!… The meat here is his explosive, gargantuan, deliriously happy record of life on the gallop. 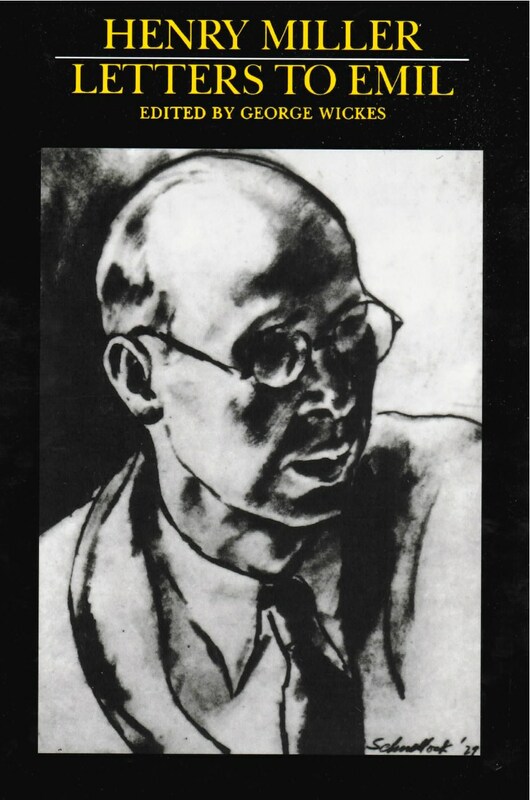 Prepared by Henry Miller for publication in 1938, Letters to Emil––correspondence from 1921 through 1934 with his boyhood friend and successful artist Emil Schnellock––remained unpublished until 1989. A chance encounter by the two men, out of touch since childhood, led to Miller’s decision to become a writer. Throughout the ’20s and into the ’30s, Schnellock acted as his chief mentor, to whom he voiced his exuberant, sometimes cranky views of life and anxiously discussed his dying marriage to June Mansfield and his growing involvement with Anaïs Nin. Miller’s letters are a compelling record of the writer in the making, beginning with his first efforts in 1922, tracing his ten-year struggle to find his own voice, and reaching a climax with the publication of Tropic of Cancer in 1934. Indeed, it was in his actual letters to Emil that Henry Miller developed his vigorously earthy yet philosophical style.